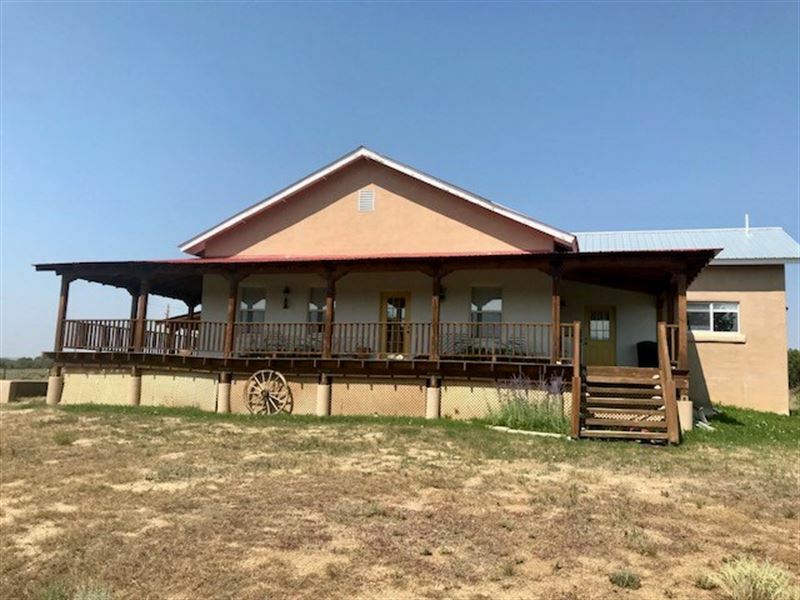 This beautifully designed country home on 18 acres is just south of Chama NM and has many custom features, including wood floors, vigas, extensive tilework, wrap around deck and much more. Enjoy the views of the San Jose Catholic Church in Los Ojos NM and the Brazos Cliffs from the east facing deck or Chama Peak and the beautiful Northern NM mountains from the side deck and kitchen window. Three bedrooms, 1 3/4 bath, dining, living and a large country kitchen provide ample space for everyone as well as provide many decorative opportunities for art. The 26 x 50 shop building is insulated and has power, as well as, a wood stove for heat during the winter months and has a covered addition for storing wood, tractors or toys for the mountain adventures. A 10 x 14 studio space is just out the back and also has power. The house is on a 5 acre parcel and the adjoining 13 acres is included for horses, goats or whatever a person might need. Heron and El Vado lakes are close by and Chama is approximately 12 miles. Close to Escalante High School and the Tierra Amarilla Elementary and Mid High. This well price piece of real estate is close to the Rio Arriba County Offices located in Tierra Amarilla, as well as La Clinica del Pueblo. This is a wonderful location to enjoy all of the recreational opportunities availabe in the Chama area. The home is on a community water system, septic and propane.